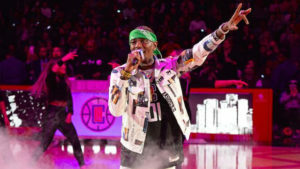 The 28-year-old rapper was taken into custody Thursday, after a Los Angeles judged ruled he had committed multiple probation violations. The hearing stemmed from a February raid on Soulja’s San Fernando Valley home, where he was suspected of holding his ex-girlfriend captive. After obtaining a search warrant, law enforcement stormed the residence and found ammunition during their search. The discovery resulted in Soulja’s arrest, as he was on probation for a firearms-related case. TMZ reports Soulja will be held without bail until his April 30 court hearing.